Meet prescreened Colombian women for marriage in Colombias capital Bogota. Meet Colombian Women for marriage in Colombia´s fast and stimulating capital. Bogota will immediately draw you into its rollercoaster energy of sightseeing, nightlife and romance. Scratch beneath the surface and you`ll find a fascinating city to explore, especially with its potential to meet so many awe-inspiring Colombian women for marriage. Wander the La Candelaria district and fall in love amid the colorful streets, elegant churches and colonial architecture surrounded by the mountains of the Andino region. Watched over by glorious Mt. Monserrate, Bogota is over 2,640m (8,661ft) above sea level and holds a lofty spot as the world`s third highest capital city. The Spanish-speaking population of over 7 million is easily attuned to living at altitude which shows in their high-spirited parties and Latin verve. Twinned with Chicago and London, Bogota is among the top cities of progressive urban areas in the Americas and boasts a world-class nightlife and head-rush of entertainment options. 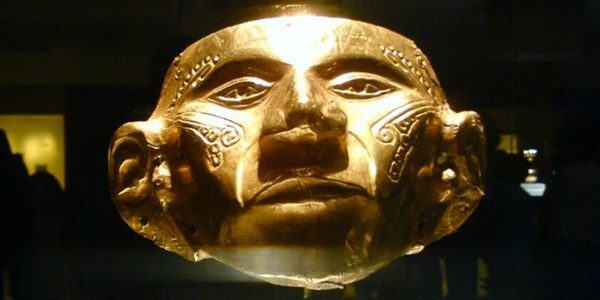 Bogota was first established in 1538 by Spanish explorer and conquistador Gonzalo Jimenez de Quesada. Named after Bacata (planted fields) and later Santa Fe de Bacata , the area became of great importance to Europe for its wealth of gold, minerals and other natural resources. It was soon made capital of the New Kingdom of Granada which covered the northernmost region of Latin America. By 1810, the inhabitants, tired of Spanish rule, moved to overthrow their European overlords. 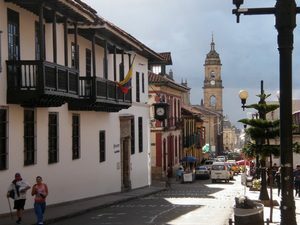 After a long and bitter struggle the city was taken in 1819 by celebrated military leader Simon Boli­var, who then made it the center of Gran Colombia. With a mild climate all year round, Bogota¡ has temperatures ranging from 41.7 F (5.4 C) to 77 F (25 °C). Located in the Andes Mountains, the picturesque scenery of the surrounding region is regularly made all the more dramatic by heavy downpours, fog and even hailstorms. The high-level subtropical climate can be unpredictable and leads to unusual seasons with the driest months being January, February, March, August and December, and rainy months in April, May, June, July, September, October and November. One aspect to be mindful of when arriving in Bogota is the high altitude which requires a degree of acclimatization. It`s advisable to take it easy on your first day so be sure to avoid five set tennis matches or lengthy sessions in the bar. Bogota is a major international destination for both business and pleasure and many travelers also use the citys main El Dorado International Airport as a point of transfer to other Latin American destinations. The airport is only 25 minutes to the center. Once in the city, taxis are generally the best way to get around as they are cheap and plentiful. Just call or flag one down and make sure the meter only begins when you start to move. And remember that surcharges apply in the evening (after 8pm) and during holidays. A Metro is currently in the development stages following moves to overcome expensive tunnel construction due to soft mountainous soil. The only alternative is currently the Transmilenio which is a speedy bus service that takes advantage of dedicated bus lanes through the citie`s streets (calles) and avenues (avenidas). Other bus routes and the Colectivo (shared minibuses) leave from the central station El Terminal de Transporte de Bogota and reach parts of the city not served by the Transmilenio. One fun way to travel the city is by pedal power using companies such a Bogota Bike Tours. For almost 20 years Bogota has invested resources into its Ciclovia program that has led to a large number of cycle paths and walkways. It is now Latin America`s most impressive bicycle network and a convenient means to travel the city, especially on Sundays when certain roads are open to bicycles only. You won`t merely sample nightlife in Bogota you`ll be completely immersed in the experience. Colombians love to party and the capital is one of the best places to relish the Latin spirit brought alive by delectable food, local liqueur and traditional dance. Whether you want to try out a string of bars and clubs in La Candelaria or find a cozy nook for a close encounter, Bogota¡ gives you the freedom to celebrate. All Colombians love beer (cerveza) and the most consumed brands include Poker,Aguila and Club Colombia. 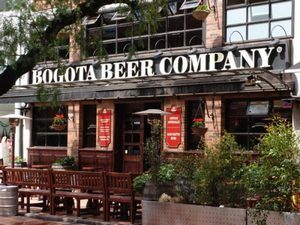 Â For a proper cerveza session during your trip head to a branch of the Bogota Beer CompanyÂ (there are several) where you can sample a variety of local beers and even a yard of ale. Try Usaquen Stout B for a bold and tasty brew, Monserrate Roja Â for a nutty malt red beer, or Candelaria Clasica A perfect oportunity for a refreshing and easy drink. If you want the evening to move into overdrive then try anise-flavored liqueur aguardiente. Another Colombian favorite to get the party going is the variety of high-quality rum (ron) best enjoyed with lime and ice, such as Ron Viejo de Caldas. There are also plenty of inventive cocktails on offer (both alcoholic and non-alcoholic), a benefit of the wide range of fruit in Colombia. If you fancy a hot drink, then order canelazo, made from agua de panela, cinnamon and aguardiente. Are you looking for an extraordinary Bar? Then you won`t have to look far to find one. Step into El Gato Gris in La Candelaria for some comfortable privacy, good music and a rooftop experience with great views of the city. For a trendy night out try Salto del Angelawhere you can drink beer, watch sport on the screens and enjoy lively salsa dancing. The place that gets all the plaudits with two locations in Chia and Zona Rosa it`s Andre`s Carne de Res, which offers a complete night out full of hot girls, table-dancing and the best music (and food!). The Monkey Pub is a fun place to head off to for an English style night out, while Caff Bohemia and its funky decoration will give you a quirky night on the tiles with DJs and live music. Bogota delivers a range of nightclubs to suit all tastes and endurance levels, with many located in the hip and happening Zona Rosa. Lost on Vibes (formerly Cha Cha) is one of the most fashionable places in Bogota and offers club goers a thrilling fusion of cinema and dancing. If you want somewhere soaked in atmosphere with a busy dance floor then Escobar y Rosas is just the ticket. InVitro is a fascinating place where you`ll mix with beautiful people and rumba to live music. Other good clubs for lovers of dance are Quiebracanto for a classic experience of real salsa, a DLirio for a great boogie, and Alma for new wave and electronica. Are you interested in marraige with a Colombian women ? You came to the right place. Meet Colombian women for marriage with our Personal Matchmaking Tour in Bogota ! Like much of Latin America, Bogota is a cultural melting pot with influences from Latin Europe, the Middle East and parts of Africa. The resulting Mestizo effect is mirrored in the culinary experience of Bogota with the whole gamut of cuisines and cooking styles contained within the city. You`ll find everything from Chinese and Sushi to Italian, Spanish and Middle Eastern. Globalization and the big city effect has also reached Bogota which means you`ll find the usual chain restaurants, fast food joints and coffee shops. Bogotans eat a traditional Colombian diet that includes milk-based breakfast soup changua, potato, chicken and beef empanadas (pastries), cazuela de mariscos (seafood stew), tamale with chocolate, and arepas or bunuelos (fried corn flour balls). A firm Bogota favorite is classic soup ajiaco which includes corn, potatoes, avocado, cream and capers. The Colombian version of a full English breakfast is bandeja paisa, a filling dish comprising cheese flatbreads, rice, beans, black pudding, chorizo and fried eggs. For meat lovers, fritanga gives a protein rush of barbecued beef, chicken, lamb, pork and a gut-busting variety of sausages. If you can manage dessert, then try figs con arequipe or cuajada con melao (cake made from curd). The best restaurants in Bogota can be found in the districts of La Candelaria, International Center and the G Zone.Harry Sasson Â is the first choice for international dishes while the French cuisine and stunning views at Casa San Isidro are a perfect accompaniment to romance. Step into La Fragata Â for fresh fish cooked in the contemporary Colombian style, also a specialty of Pesquera Jaramillo. For a more informal and relaxed evening, head to Bogota original tapas restaurant Tapas Macarena. Alternatively, get your fill of high-quality hamburgers and sandwiches at La Hamburgueseria. Other popular Bogota restaurants include Criterion Â for French food, Wabisabi Â for sushi and Astrid y Gaston for a Peruvian Restaurant. Bogota is a vigorous place that will inspire the senses and spoil you for choice in the entertainment stakes. With over 40 theaters there`s likely to be a performance on every night of the week during your stay. Visit the historic Carmarin Theater of Carmen, enjoy first-class opera at the Colon Theater, catch a classic production at the Theater of La Candelaria, or experience an open air show at La Media Torta. To enjoy some classical music you should visit the National Symphony Orchestra of Colombia at the Cristobal Colon Theater. A host of sporting events are held at the Plaza de Toros Santamari­a, including bullfights for fans of such a sport. The other big draw with enthusiastic crowds is soccer which takes place in three clubs across Bogota Sante Fe, Le Equidad and los Millonarios. The Colombian national team plays its matches at El Campin Stadium, as do both Millonarios and Santa Fe, which should make for a good spectacle if a game is scheduled. A spectacular souvenir is a real emerald originating from a local Colombian mine. Or opt for silver jewelry, leather goods or a tailored suit. You`ll find these in the impressive choice of malls across Bogota such as Centro Mayor, El Retiro Mall, and Â Santaf. On a tour around districts such as La Candelaria you`ll also have the opportunity to buy a range of handicrafts. Take a tour down the fascinating Pasaje Rivas on Calle 9 and buy some nicely priced local goods from the friendly vendors. Do you want to meet Colombian women for marriage in Colombia ? The popular and well-attended festivals and events of Bogota will fill you with a real life-force. Top of the bill is the annual Carnival of Bogota (Carnaval de Bogota) that takes place at the start of August. Head over to Parque Metropolitano Simon Bolivar and have some fun with the music, dance and costume both during the carnival and on the run-up in July. Another major event is Rock at the Park (Rock al Parque) which is a fabulous open air rock festival in July that features over 50 Latino and international acts. Having taken place for around 15 years, the mainstream event has spawned others such as Jazz at the Park, Salsa at the Park and Ballet at the Park. It`s clear that when in Bogota, the park is the place to be entertained! The Iberoamerican Theater FestivalÂ is the world`s biggest and most significant for ardent fans of drama and stage art. The biannual event takes place in April (on even years) and brings real innovation and passion to the stage. For those who prefer the silver screen, the Bogota Film Festival, is held every year during October. Finally, if the printed word is your favorite pastime check out Â Bogota`s International Book Fair heldÂ every year in late April. 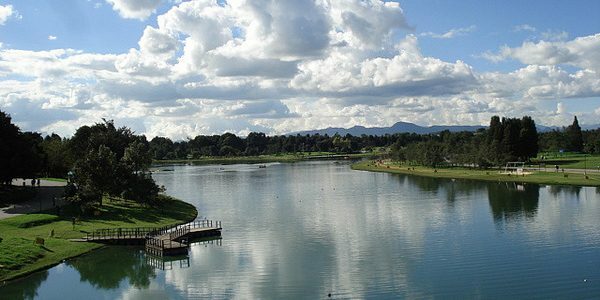 Bogota is separated into 20 districts and four approximate zones: El Occidente for sport and parks; the North for business and shopping; the residential South; and the historical El Centro for tourism. The cultural heart of Bogota can be found in La Candelaria district which contains a treasure trove of sightseeing, bars and restaurants. The main square Plaza de Bolivar is the ideal location to start any tourist trail with a city-wide choice of over 150 monuments, 50 museums, 60 art galleries, 75 sporting venues and parks, and 40 theaters. Boliva SquareÂ (Plaza de Bolivar) A hive of activity, the citie`s most famous square is bordered by grand buildings testament to its role in Bogota`s position as the Colombian capital. Cathedral Primada of ColombiaÂ (Catedral Primada de Colombia) A vast French baroque cathedral that took 300 years to construct due to a series of mishaps (and an earthquake). Narino Palace (Palacio de Narino) Reconstructed in 1949, the majestic Presidential Palace at the heart of the La Candelaria district. Watch the 5pm changing of the guards. Church of St Francis (Iglesia de San Francisco) A beautiful place of worship from the 16th-century with elaborate carvings on the interior. Toros Santamaria Square (Plaza de Toros Santamari­a) Bogota`s bullfighting arena that also hosts a range of sporting events such as tennis matches. Church of San Diego (Iglesia San Diego) A small and elegant 17th-century church established by Franciscan monks. Country House of Simon Bolivar (Quinta de Bolivar)The 19th-century residence of revolutionary leader Simon Bolivar who spent the last of his life here. Church of the Third Order (Iglesia de la Tercera Orden)Features an exquisite mahogany altar carved to perfection. Zipaquira Salt Mines Take a trip out to these breathtaking salt mines where you`ll even find a complete cathedral inside the salt mine. (Catedral de Sal de Zipaquira). Museum Church of Santa Clara (Iglesia Museo Santa Clara) A unique 17th-century church and museum. National University of Colombia Colombia`s major seat of learning. Torre Colpatria The highest building in Bogota which allows visitors to travel to the top (weekends only) and get a fabulous view of the entire city. Museum of Gold (Museo del Oro) Enough bling to send you blind! Be dazzled by 30,000+ items of gold and precious stones in a must-see experience at Banco de La Republica. Museum of Modern Art (Museo de Arte Moderno) A large and magnificent museum spread over 4 floors that showcases the best Colombian works of art such as Negret, Botero, Manzur and Villamizar. National Museum (Museo Nacional) Constructed in 1823, this essential art and cultural museum (and former prison) contains in excess of 20,000 exhibits from the grandeur of Colombia history. Botero Museum (Museo Botero) Distinguished Colombian artist Fernando Botero exhibits his own collection in this simple building that includes Picasso, Renoir and Monet. Casa de Moneda Adjacent to the Botero Museum, this place is dedicated to the art of moneymaking and holds a treasure of Colombian coins. Banco de la Republica Art Collection (Museo de Arte del Banco de la Republica) â€“ A comprehensive collection of over 2,000 sculptures and paintings including all the greats of Latin America and Colombia. Colonial Art Museum (Museo de Arte Colonial) A 17th-century Andalusian-style building that contains some important Colombian artifacts. Museum of 20 JulyÂ (Museo 20 de Julio) A historical museum which celebrates the course of Colombia`s independence that began in 1810. Library of Luis Ãngel Arango (Biblioteca Luis Ãngel Arango) A modern library that contains some interesting indigenous musical instruments. Features regular live chamber music. Museum of ArcheologyÂ (Museo Arqueologico Casa del Marquiès de San Jorge) A renovated mansion that showcases a vast collection of pre-Columbian art and pottery. Maloka Bogota`s science museum provides a range of interactive exhibits on physics, biology, space exploration and other subjects. Garcia Marquez Cultural Center (Centro Cultural Garcia Marquez) Venue and center of culture that houses concert halls, galleries and a library. Bogota Museum (Museo de Bogota) A series of displays that depict Bogota`s city life. Register now for free! National Park (Parque Nacional) A real community affair, this green space is a relaxing place for cycle rides, badminton, volleyball, concerts and movie screenings. Simon Bolivar Metropolitan Park (Parque Metropolitano Simon Bolivar) An enormous park where Bogotans enjoy their leisure time and regular free concerts (see Rock al Parque under Events). Bogot Botanical Garden (Jardin Botanico) de Bogota ) Created in 1955, Colombia`s largest botanical garden is dedicated to a Spanish botanist and offers a host of natural wonders including over 5,000 orchids, walnut trees, climbing plants, medicinal plants, herbs and some endangered species. Cerro de MonserrateTravel up the funicular or Transferico to this glorious viewpoint and enjoy the whole of Bogota before you. Adventure World (Mundo Aventura) Have fun in this large amusement park that contains a small domestic zoo. Parque del Chicita A small park with water features surrounding a colonial-style museum. Choach Take an enjoyable trip to this tiny village east of Bogota where you`ll get a great mountaintop view of Monserrate. Tourist Train For an adventure, this tourist train (a relic of the Bogota Savannah Railway) gives some attractive views on the way to Zipaquira Cajica and Nemoca. Meet Colombian women for marriage in Bogota with us.